ENJOY WEEKENDS BOATING ON A 340 ACRE LAKE OR PLAYING GOLF IN THIS RESORT TYPE COMMUNITY! 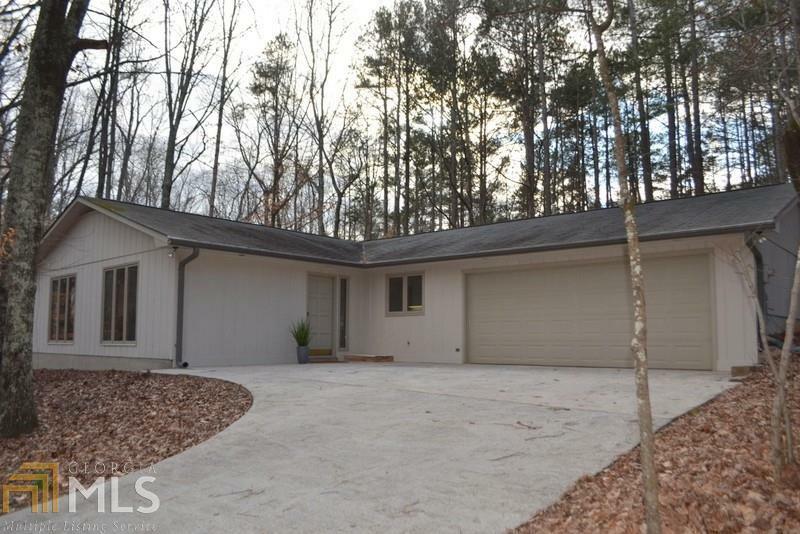 AMAZING RANCH NESTLED ON A WOODED LOT W/LAKE VIEW! OPEN FLOORPLAN W/WOODED BEAMS & PLENTY OF WINDOWS! HUGE LIVING & DINING AREA W/LAMINATE HRDWD FLRS, BUILT-IN BOOKCASES & GAS LOG FRPLC. SPACIOUS KITCHEN W/BAR, 2 SINKS, PANTRY, TONS OF CABINET & COUNTER SPACE. LARGE BDRMS THAT ARE ALL CONNECTED TO BATHS. 2 CAR GARAGE W/REAR GARAGE DOOR. LOW MAINTENANCE YARD W/CREEK. FAIRFIELD OFFERS GOLF, CLUBHOUSE, SWIM & TENNIS, A MARINA, WALKING/NATURE TRAILS, A PLAYGROUND & GATED ENTRANCES. Directions: I-20w To Exit 24/Ga-61. Turn Left Onto Carrollton Villa Rica Hwy/Ga-61. Left On Sandhill Hickory Lvl Rd. Left Onto Old State Hwy 61. 1st Right Onto Williams Rd. Left On Sandhill Hulett Rd. Stay Straight To Go Onto Fairfield Rd. Right On Lakeview Pkwy.